I know giving kids scissors for the first time can be scary but they are going to need the skills when they go to school. That is why I have created a few Preschool Scissor Practice Worksheets to work on these skills. Since I took my son to Kindergarten Readiness, I realized that I needed to work with him on his scissor skills. He knows how to use scissors, just needs to work on cutting on the lines. After he masters this, I will have him work on cutting shapes out. I did purchase Fiskars pre-school training scissors at first. These were good at teaching him how scissors work since they have a bounce-back feature. This feature opens the scissors back up after squeezing. These were good for learning the action but not that great at cutting. So the next pair I bought for him to try was the Fiskars blunt tip kids scissors. This helped him cut his paper easier. Also, if you need help teaching your child how to hold scissors, I highly suggest checking out Sight and Sound Reading’s Post. 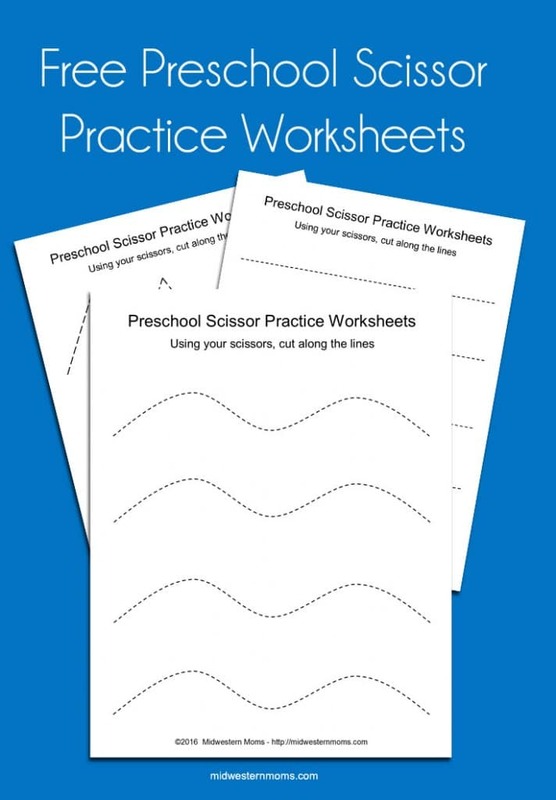 They have a great video to watch and some more scissor practice worksheets. To get your free printable scissor practice worksheets, simply enter your email address in the newsletter box below. This will send you the link to the printable as well as subscribing to our newsletter.